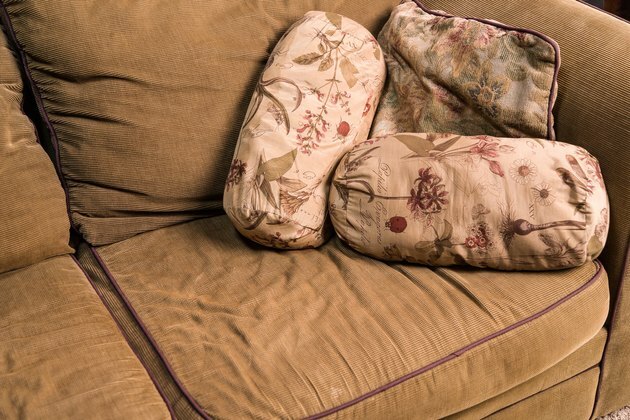 Fabric sofas benefit from occasional cleaning, even if they are not visibly stained. Dust in the home settles on the fabric, which can make the sofa look faded and dingy in time. In addition, the dust can contribute to dust mite problems and, therefore, allergies. You can clean most kinds of sofa fabric with a general upholstery cleaner. Microfiber requires a different, drier kind of cleaning; however, the method for cleaning all types of sofa fabrics is generally the same. 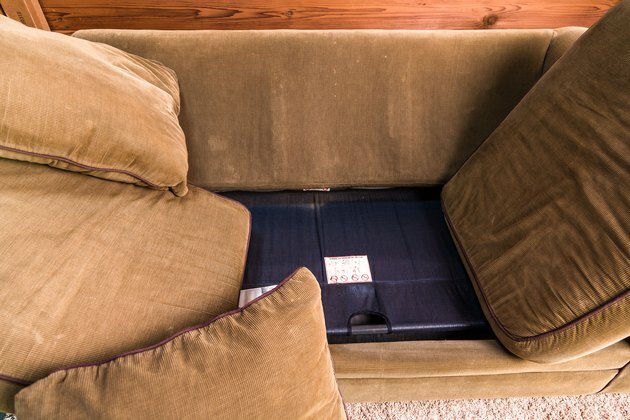 Remove the cushions from the sofa, if they are not attached. Set the cushions aside to clean separately. Attach a vacuum hose attachment to the vacuum. Vacuum crumbs and dirt from the seat area first and then the rest of the sofa. Don't rub the hose into the fabric while vacuuming. Doing so may push dirt further into the fibers—let the vacuum's suction power do the work. Spray foaming upholstery cleaner on the most heavily soiled areas first. You may need to shake the bottle or can first—check the label. 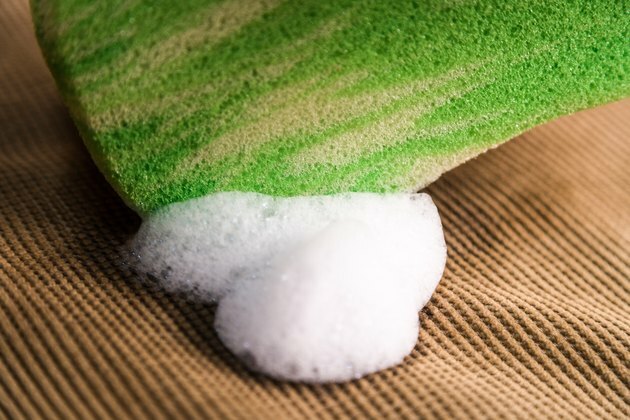 Rub the cleaner into the fabric gently, using a clean, damp (or dry, if the fabric is microfiber) sponge. If using a dry sponge (for microfiber), switch to a new dry sponge when the first sponge is dirty. 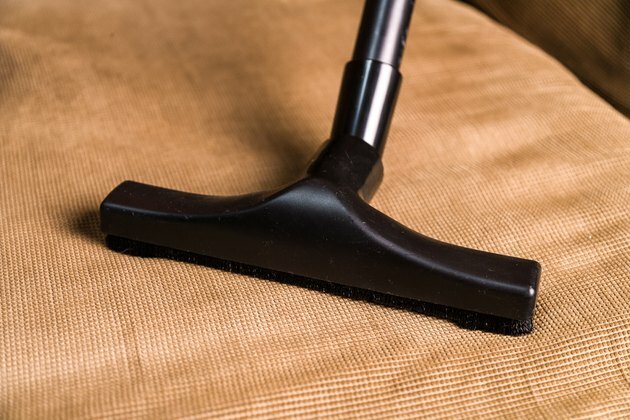 If using a damp sponge on other types of upholstery, rinse out the sponge when it becomes soiled, or before you begin on a new area of the sofa. Apply upholstery cleaner to the rest of the sofa and rub it in with a sponge. Allow it to dry completely (to speed this up, aim a fan at the sofa). While you wait, begin cleaning the cushions. Vacuum them thoroughly on all sides. 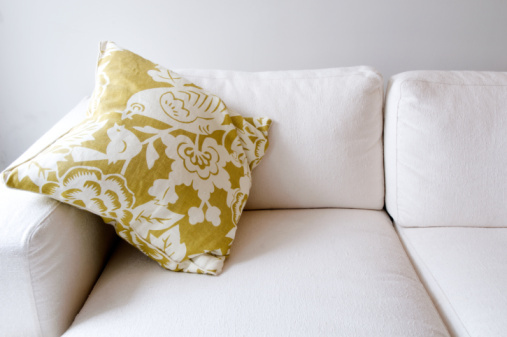 Use upholstery cleaner on one side of the cushion; you'll need to wait for that side to dry before turning it over and cleaning the other side. Vacuum the sofa again, when it is dry. 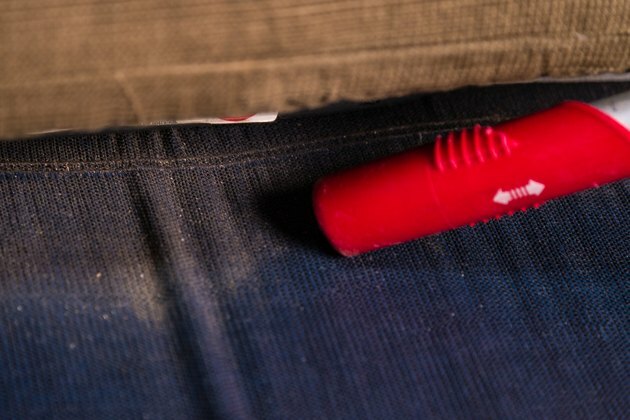 This removes excess cleaner from the sofa fabric. Next, vacuum the cleaned side of the cushions and place them, clean-side down, on the sofa. Treat the other side of the cushions with the upholstery cleaner. When they are dry, vacuum them.